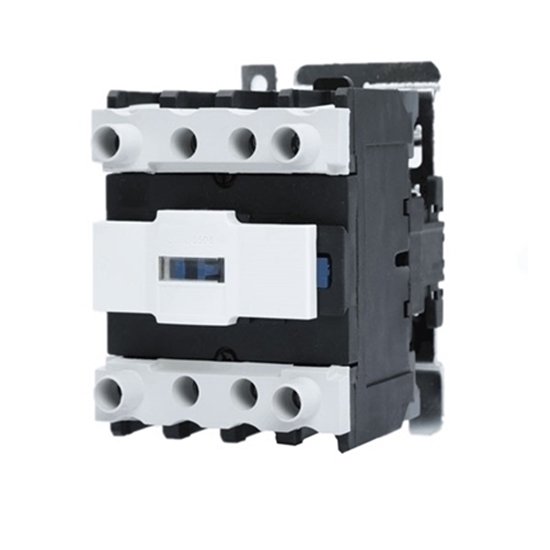 AC contactor with 24V/110V/220V coil voltage for selection, bypass, 4P(4NO) or 4P(2NO+2NC). Rated current 65A/380V, 42A/660V. Tips: Coil overheating or burning, how to solve? The power supply voltage is too high or too low. Line technical parameters (such as rated voltage, frequency, load factor and applicable working system, etc.) do not match the actual use. Operating frequency is too high. Insulation damage due to poor coil manufacturing or mechanical damage. The moving part is stuck. The AC core is uneven or the magnetic air gap is too large. AC contactor derives the double coil of DC operation, because the normally closed interlocking contact welding does not release, and the coil is overheated. Adjust the power supply voltage. Replace the coil to remove the obstacle that causes mechanical damage to the coil. Clear the pole face or change the core. Adjust the interlocking contact parameters and replace the burnt coil. I purchased this contactor to replace the factory-installed contactor in my AC condensing unit. This part was a perfect replacement. The device arrives one week after payment in an undamaged cardboard box. My initial impression of the part was that it was very solid, of a good build-quality but so was the existing part that it was replacing. The connectors on this contactor were better than the original that I was replacing.